Road trips are fun! Preparing for them will make the trip fun and give you peace of mind while traveling. In mid July 2018, my husband and I drove from Columbia, SC (USA) to Quebec City, Quebec (Canada) and back. Travel time was about 20 hours. It was fun! I loved it. We had everything we needed for the perfect road trip. In additions to having the right music, games and food on the road trip, we took time to make sure that were prepared for any emergencies that might come up. So in today’s sponsored post by University Motor Company (located in Columbia, SC), I am sharing a few things you need to take with you for your long road trip. Some items will depend on your trip length, weather where you are traveling to and personal preferences. Road trips are fun! Preparing for them will make the trip more fun and give you peace of mind while traveling. These items should be in your car at all times, anyway. Tissue or baby wipes – helps with clean up spills, etc. Extra sweater or jacket – Temps in a car with a dead battery in the dead of winter can drop fast. Blanket – Temperatures can drop fast at night in certain areas. A view of Montmorency Falls in Quebec, Canada. It was so stunning, I had to record a slow-mo video of it.. 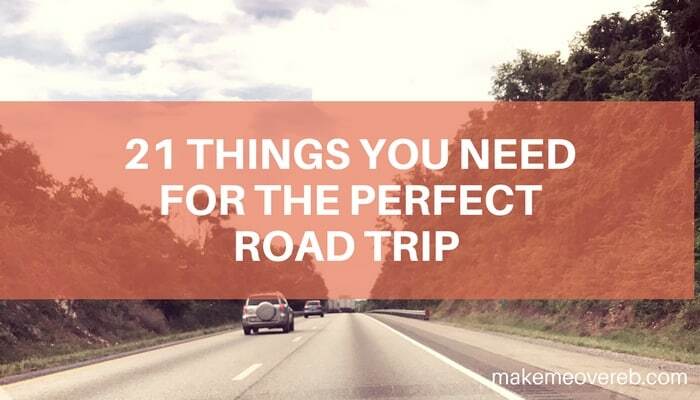 So where will you take your next road trip for your next break? Did you find this post helpful? If so, please share it. Also, follow my adventures on Instagram @makemeovereb using the hashtag #mmoelife.